BIG NEWS – after an 18-year absence, AutoCAD is returning to the Mac! Of course, much to Autodesk’s dismay, this hasn’t exactly been a secret to nearly anyone following who follows the CAD industry. Now for the part I hadn’t expected (but makes perfect sense); AutoCAD is also coming to the iOS (aka. iPod Touch, iPhone, and iPad). Although Autodesk has officially supported the installation of AutoCAD on a Mac using Parallels Desktop since 2006, let it not be misinterpreted – this is a native OS X application. 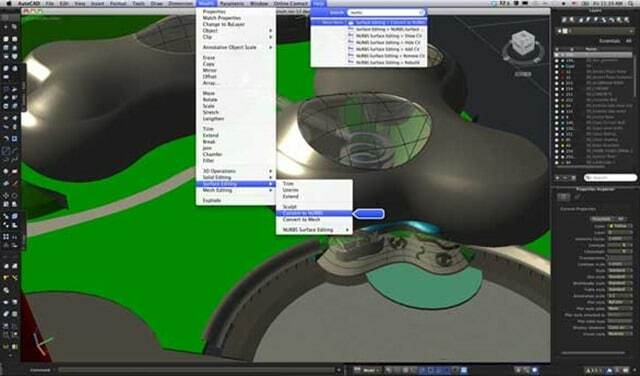 While it seems users who choose AutoCAD for the Mac will have to give up some Windows only features, they will also gain a noteworthy list of Mac only features like Multi-Touch gestures. Despite the lengthy sabbatical from the Mac platform, AutoCAD for the Mac is promised to open all the same files AutoCAD for Windows does. So that drawing from R14 should still work with AutoCAD for the Mac. In addition to the [much anticipated] announcement of AutoCAD for Mac, Autodesk also announced AutoCAD WS. This is being reported as a FREE application that will be available from the Apple App Store, and will provide real-time collaboration while on the go. Without seeing this for myself, I question how usable this application will be on the smaller screens of the iPhone and iPod Touch, but it seems to be a perfect match for the iPad. As you can probably tell – details are still a little sparse. You’ll be able to pre-order AutoCAD for the Mac starting Wednesday (September 1, 2010), and the application is said to be available sometime between September and October of 2010. Stay tuned here at The CAD Geek for more details as they become available.